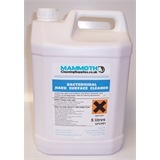 This Pair of Ramon Hygiene Scissor Mop Heads gathers and traps fine dust quickly and gently leaving a dust free surface ready for mopping or polishing. 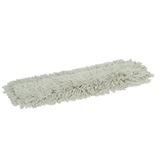 Cotton scissor mops are designed for sweeping large smooth floored areas such as airports, hotel lobbies, shopping mals etc. 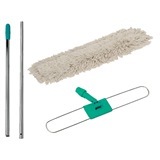 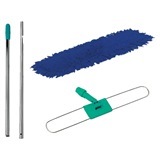 This dust mop head is compatible with the Ramon Hygiene Reinforced V Sweeper Frame & Handles, (KIT00045). 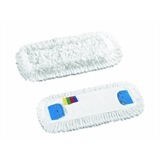 Pack size 2 mop heads.